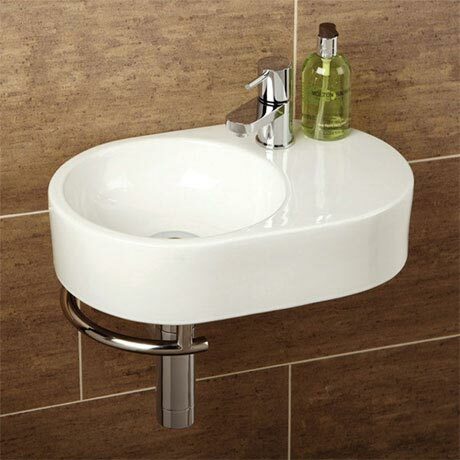 The Saville washbasin combines style with practicality. It's key feature is the integrated towel rail keeping towels close to hand and helps keep the basin area clutter free. Manufactured from high quality ceramic, this wall mounted washbasin comes with fixing bolts and is available with a single tap hole. The Saville is perfect for smaller bathrooms, en-suites or cloakrooms. Please note: Tap, waste and bottle trap not included.